OSRS account combat level 92 ID# 20181204LW92 - RuneScape Accounts,RS Accounts,Buying Runescape Accounts,Buying RS Accounts,Cheap Runescape Accounts,Cheap RS Accounts. OSRS account combat level 92 with 73 attack, 79 strength, 70 defense, 63 ranged, 61 slayer, total level 1279, quest points 91 with MM done. 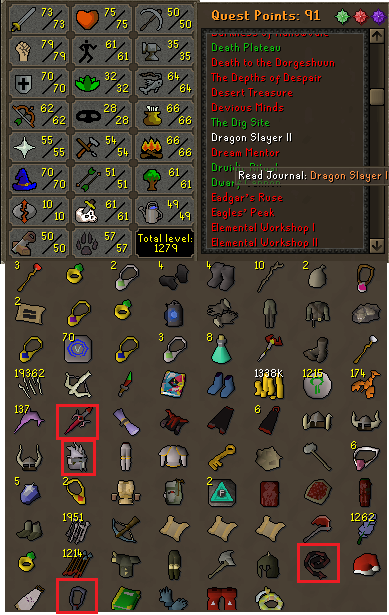 come with rune gloves, book of balance, slayer helmet (i), fury, dragon defender, whip.